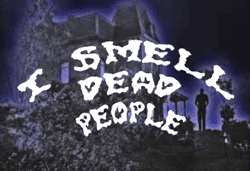 I Smell Dead People began life, so to speak, two years ago on a Friday the 13th. It still gives us goose bumps when we post an update on that auspicious day. Little did we know at the time that the Uncle Fester demographic was so widespread on the Web. But to all you ghoulish olfactophiles who keep coming back for more, we say welcome and breath deep! Here’s your monthly roundup of the macabre incidents that begin with a foul odor and all end in the same dismal place. a foul odor led a manager at the residential facility at 622 S. Wall to find the body of a 47-year-old man who had been dead approximately three days. Detectives confirmed the man died of blunt force trama. An employee of a local Meijer store found the body of a missing Danville woman Saturday in her van weeks after she was reported missing. . . .
Employees indicated that because it is a 24-hour store with a large parking area, it isn’t uncommon for cars to be there numerous days. [The Hendricks County Sheriff’s public information officer] said an employee finally became suspicious after noticing a foul smell and flies around the minivan. 2011 is turning into a banner year for Norman Bates Award nominees. 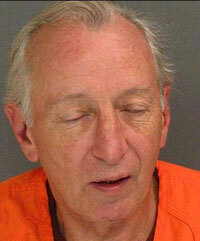 Here we present John Clauer of Santa Cruz, California. The remains of Heather Stearns, his 30-year-old girlfriend, were found in his apartment on April 26. Stearns’ body was found in the apartment of 63-year-old John Clauer in Santa Cruz on Tuesday after neighbors complained about an unusual odor. Authorities say she had likely been dead for more than a week. The circumstances were suspicious and authorities later determined that Stearns has been subjected to significant physical trauma. Clauer, meanwhile, was on parole for a burglary conviction. A parole officer had visited the room on the afternoon of his arrest, but the officer apparently did not notice the corpse’s stench, authorities said. State Parole spokesman Fred Bridgewater said Thursday that a report was due today on the parole officer’s visit. He declined to comment further. Who says that California isn’t getting its money’s worth from its massive public employee sector? Finally, this is not exactly an ISDP story, but having watched Attack of the 50-Foot Woman on TV as a kid, this item brought us a pang of nostalgia. 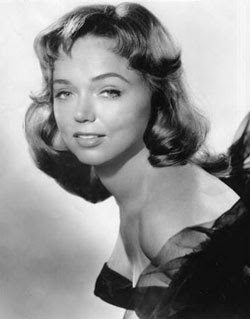 Susan Savage, an actress, went to check on Vickers after noticing old letters and cobwebs in her elderly neighbor's mailbox. As a fan of what my OH generically refers to as "forensic protitute" type TV programmes, I lapped up this post! We recently had a case in our town of a young man's body being found in a house five months after this death. He lived alone, but you would think that if no one had missed him in all that time, a passing postman might have sniffed him. Heh. In the US, TV ratings people refer to them as "cadaver shows". Maybe somewhere out there a cable channel is looking to fill a late-night slot. I'm available to host! I guess lot of mailmen see the letters pile up and get a whiff of trouble but decide to keep walking. Can't blame them, really, but they could call the police for a welfare check. On the other hand, patrolmen heartily dislike DB (dead body) calls. Pretty much a lose-lose situation . . .